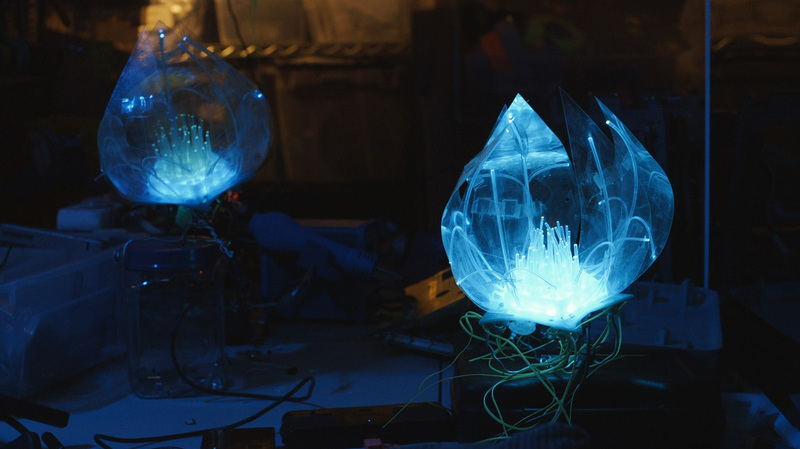 Roughly twice as large as the small flowers, and made with clear petals that let you see into a tiny world of glowing fibers and reflective magic. These flowers also bloom as you approach them and dynamically move through the hues of the rainbow. 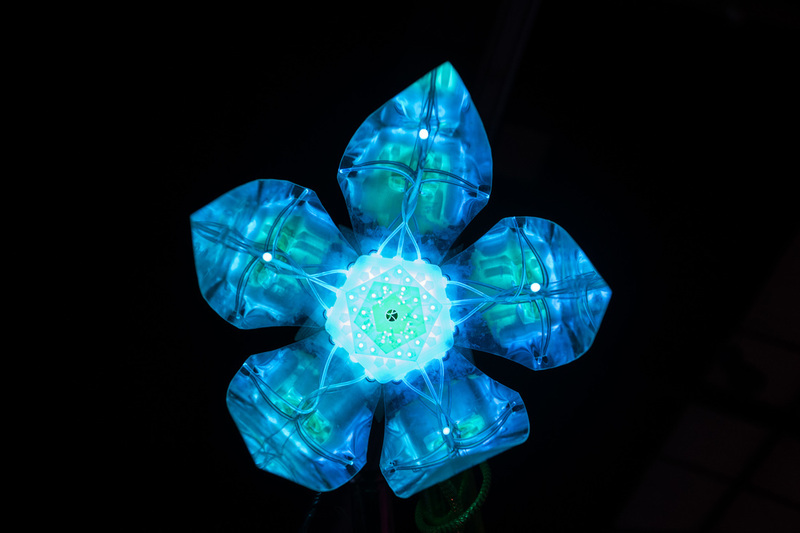 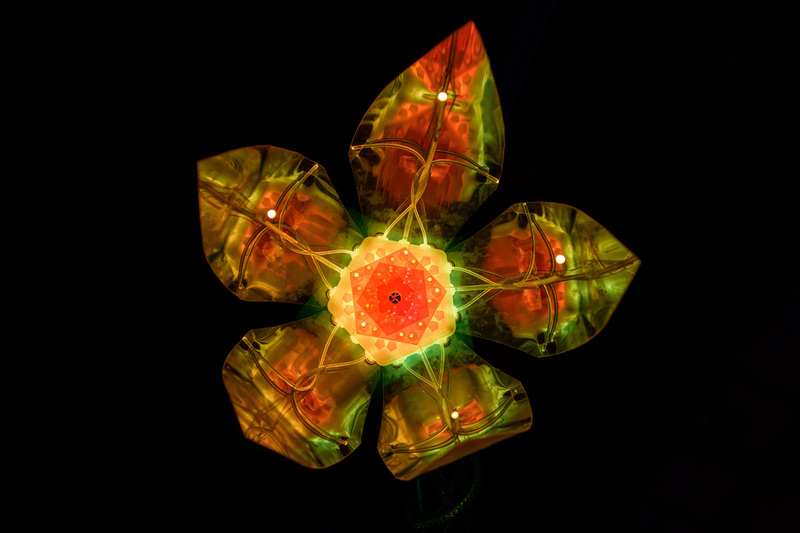 This medium-size robotic flower is designed with a green 3D printed base and glow-in-the-dark pistil in the center, with fiber optic strands protruding with color. 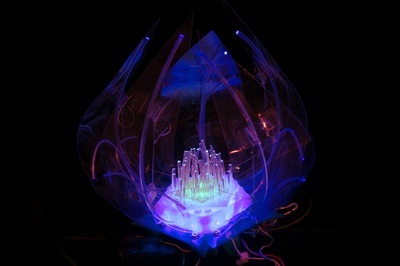 Its petals are clear, which enhance its ability to reflect its own light back, and make it look like a glowing space orb from afar. 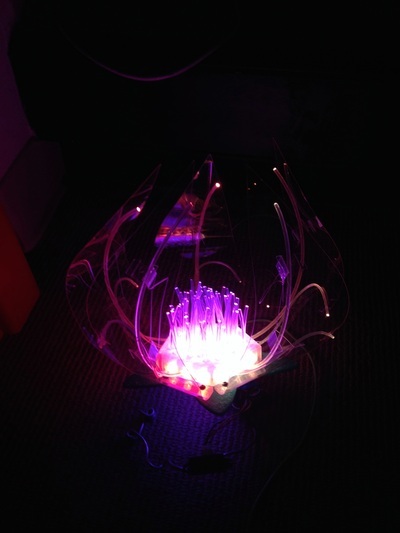 Materials: clear polycarbonate, fiber optics, 50 programmable RGB LEDs, 3D printed PLA, servo motor, Arduino microcontroller, proximity sensor. 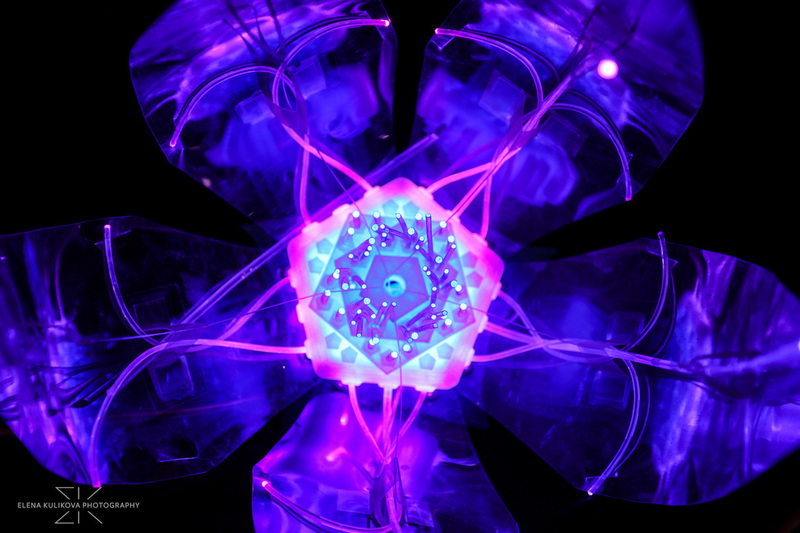 Created by Ashley Newton, April 2014 - ongoing.